I have been getting a lot of questions on whether Supplements are safe to take as a substitute for Nutrients available from Natural Sources. Also in my consultations, I am seeing a lot of patients who have been taking more of supplements to meet the requirements of the body. Too Many Supplements Regularly is Not Good At All For the Body. We Must Understand Body has the Capability to Process and Regulate Vitamins, Mineral, Proteins and other Nutrients better when consuming from Vegetables, Fruits, and natural food as they are available for the body in forms that allow the body to absorb only the required amount and reject the rest through body’s excretory system. But in when it comes to supplements, the nutritional content is not available in forms that allow the body to do this, hence the body ends up absorbing what is more than required and over years leading to cognitive disabilities or other health hazards. 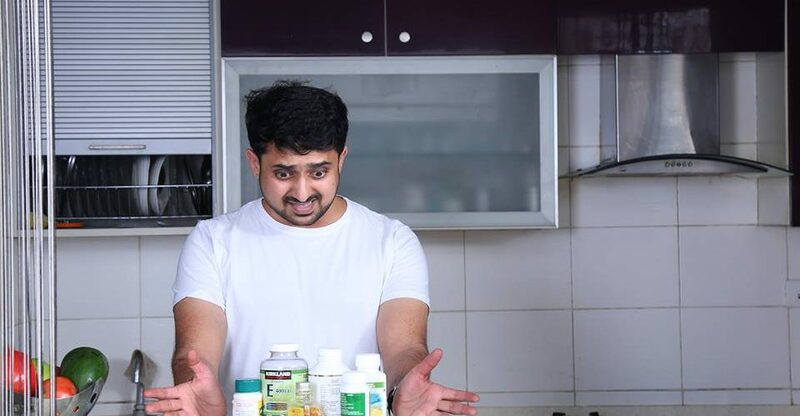 Supplements which are closest to the Natural forms are comparatively better among the supplements available, but yet not as good as what is available Naturally. Do not consume Vitamin B-Complex Tablets, Iron and Calcium Supplements Tablets, Cod Liver Oil Tablets and such supplement tablets regularly every day as a replacement for the naturally available nutrients. Consume them from Vegetables, Fruits, Herbs and Certain Meats (Not All Meats Are Good For Health when taken regularly). Generally, I recommend following supplements for old people and for those who cant follow good nutrition due to various reasons. Ideally, our body needs above.Nutrients for good health. We must try to consume them as natural as possible. In this Campaign I will discuss Nutrients and Which are the Natural Sources for these Nutrients and How It can be consumed. Also What is the considerable supplements that can be consumed but not frequently.